An ocean is a place for the sea life to live in and thrive in. A forest is a boundary for the flora and fauna to cherish and later perish. The society is our abode for us to look up and grow up. No matter how the earth is divided into different regions of existence for different kinds of species, the law of nature is the same everywhere. Every being originates from a parent body and every parent takes care of safeguarding its offspring until it ripens well enough to take on the world all by itself. The fish take care of their eggs, the tree takes care of its fruits, the lioness takes care of its cubs, and it’s needless to explain how our parents take care of us. The nature has an inbuilt system of protection and bonding between two generations of the same kind of species. But, only the homo-sapiens is a special species that can build a parent-child bonding even without being connected genetically. The above paragraph might have been a high dose of biology for few, but never mind as we shall jump into the crux of the current topic of discussion talking about the most special species on this planet - the homo-sapiens. Every infant that is born opens its eyes to see the new world around it once it’s outside the womb of its mother. It doesn’t know what to do or what to look up to. As it grows through the stages of childhood it starts taking influence from every being in its surroundings. The kid starts learning about education, money, fame, rewards, recognition, science, business and a lot of other things. Dreams start taking birth in these youngsters as they are about to step into their choice of education stream after their schooling. Parents facilitate the best environment for the children to pursue their dreams and support them at every step of failure and success. They are the first set of people who really matter in one’s life who don’t have any bias in their love towards their children irrespective of what results the children bring back home. The rest of the social environment of an individual apart from parents includes the relatives, neighbours, teachers, friends and acquaintances. The relatives are more concerned about comparing one nephew with the other niece while the neighbours are just interested to know the regular score updates. Teachers are busy completing syllabus in the colleges while the friends are busy planning outings and parties. Acquaintances don’t matter much and that’s why they are called as acquaintances. None of the above are interested in an individual about his/her growth or dreams. Many among these groups are supportive and encouraging but none of them takes up the responsibility of helping an individual reach his/her dreams or goals. The only other set of people apart from parents that cares of an individual’s personal preferences and guides him/her along the right path is the set of mentors. Just like how the happiness of parents lies in the smiles of their children, a mentor’s success lies in the accomplishment of a mentee’s dream. Just like how parents are sweet at times and punish when we are wrong, the only other clan which assumes such a responsibility for one’s life is a group of mentors. An individual might have a single mentor or a group of mentors but never should be without a mentor because only equivalent souls to that of parents that one can find in his/her life are these mentors. History is a proof of umpteen success stories of people who were backed up and guided by experienced mentors because mentors are not theoretical teachers but practitioners of practical approaches towards solving life’s challenges and accomplishing one’s goals. Hence every dreamer needs a mentor to help him/her achieve one’s personal goals along with the moral support of the parents. i3 - Influence Inspire Impact is one such platform that has taken birth to connect the people who seek experience with the experienced professionals who shall mentor their mentees in the direction towards their dreams. 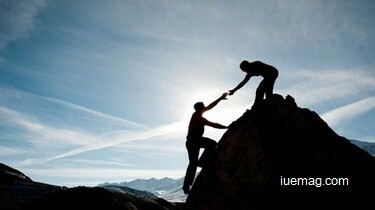 It’s quite difficult for each individual to search and find a mentor for oneself. Hence the platform i3, backed up by the company Inspiration Unlimited, has brought mentors from diverse fields to connect to delegates from various backgrounds to create more success stories in this world. If you’re looking for a mentor, it’s time to visit www.iuities.org and register to be a part of the upcoming i3 Season either in Bangalore, Mumbai or Hyderabad. For more information, please visit www.facebook.com/i3official. Any facts, figures or references stated here are made by the author & don't reflect the endorsement of iU at all times unless otherwise drafted by official staff at iU. This article was first published here on 15th April 2015.